Why Loiter? Is Mumbai an ideal city to loiter in? Studio X in Mumbai last month hosted the launch of a book that highlights women’s access to public space. 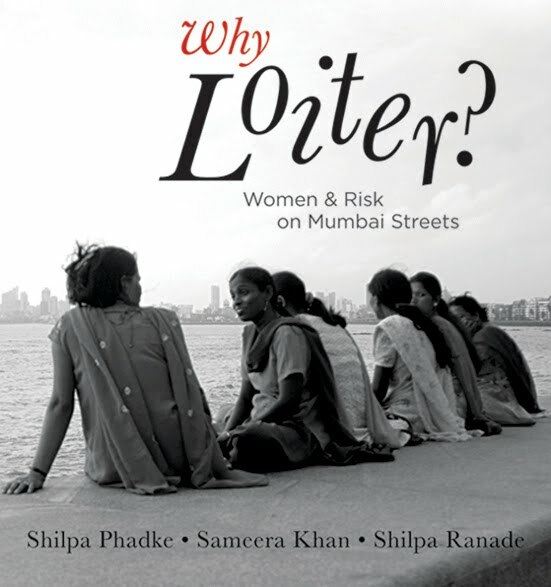 Titled, “Why Loiter?” The book is an effort of three women; Sameera Khan a Mumbai based journalist and writer, Shilpa Phadke an assistant professor at the Centre for Media and Cultural Studies at the Tata Institute of Social Sciences, Mumbai and Shilpa Ranade architect and partner at DCOOP in Mumbai. It chronicles years of meticulous research that attempts to understand how women from different communities, classes and minority groups in Mumbai have limited access to public space and often do not feel safe or comfortable in the public realm. The three women wonder why in a city where men wandering alone or in groups is acceptable but if a woman is on a leisurely stroll then it is assumed that she is up to no good. Loitering is purposeless occupation of space and defiling of public space is not acceptable. Read the full article here Why Loiter? Is Mumbai an ideal city to loiter in? This entry was posted in Architecture, Culture, Design, Travel and tagged Architecture, Bombay, Culture, Design, Mumbai, Parks, Public Realm, Urban Planning. Bookmark the permalink. 2 Responses to Why Loiter? Is Mumbai an ideal city to loiter in? Interesting. I have to read this. Yes and Designwala plans on doing a panel discussion on the same.